In the Philippines, it's so simple to write or tell a residence address. It just goes like: house/flat number, floor level, building name, street, area, city/town. It goes like this: 306 Union building, Taft Avenue, Manila. 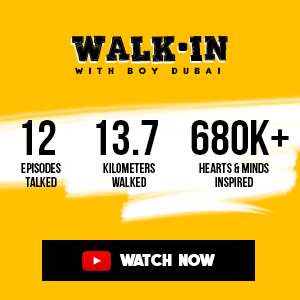 Here in Dubai, it's kinda weird. It is not advisable to rely on street names. There's no street name but street numbers - some numbers are repeated on the same area as well - a 17B on the left and a 17B on the right. There's also a community number - til now I don't know what's it for. Some buildings have names, some have none. Floor level 1 begins at 5th or 6th floor. And, it's a must to include a landmark, no, landmarks. And oh! be careful with your prepositions of place - as behind doesn't really mean behind here, and beside and between might get you lost; and so "before" and "after." "Backside" or "opposite side" is better understood here. And oh, a 5-year old building here is still a "new building." 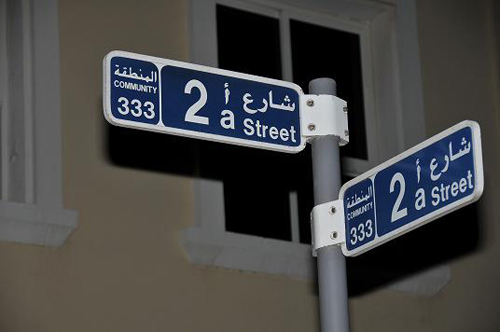 So how do we say a typical address in the traditional Dubai? 507 Al Takkaful Building (Mushtaq grocery in the building), backside of RAKBank, next to mosque, Jumeirah 2, Dubai. This happens mostly when you're giving directions to deliveries. That, or simply P.O. Box 12345, if receiving a mail.